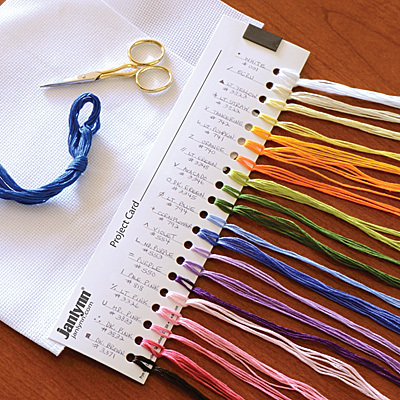 Janlynn's Carded Floss Organizer is a great companion tool to any of our cross stitch projects. Each package comes with three large project cards, a magnetic strip for needles and 20 slots with lines to label floss colors. Each card measures 11". Set of 12.